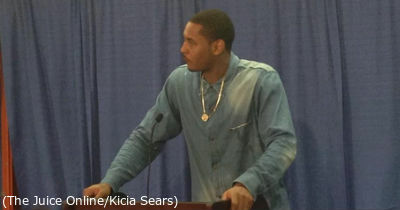 HomeFootballDo moral victories mean anything for Syracuse football? 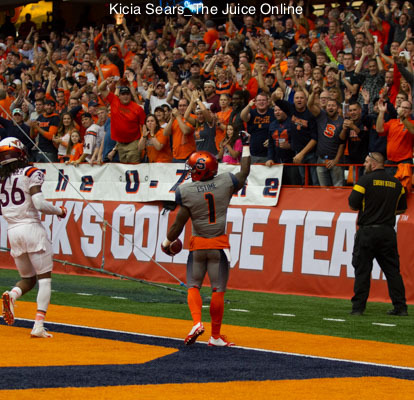 Do moral victories mean anything for Syracuse football? Syracuse lost a close game at LSU on Saturday, 35-26. While it highlighted how SU has improved, and has the potential to compete against top-flight competition, is a moral victory enough at this point? The Juice Online’s Jim Stechschulte and Wes Cheng break it down. Jim Stechschulte: I know actual wins are the only thing that count in the standings. So, how about we ditch the phrase “moral victory”, and use “confidence booster” instead. After all, isn’t confidence an important part of success? Should Dino Babers’ squad take nothing from hanging with a nationally-ranked, talent-laden perennial powerhouse in a difficult road environment? Should a young offensive line feel better about allowing only three sacks on 58 pass plays? Should an inexperienced defensive line take positives from helping shut down an All-American candidate running back even though he was not at the peak of health? Should an offense feel good about hanging three 70+ yard touchdown drives on an SEC defense with several future NFL players on it? Should the whole roster feel positive about their coach playing the game to win? I don’t know if they’ll make a bowl game this season, but I still believe they can, even with Saturday night’s loss. More importantly, the long view of the Syracuse football program says the positives gleaned from a tough loss can help build long-term success. We want wins because the team has starved so long and feeling “this close” hurts, so maybe we change the phrase… and our outlook. Wes Cheng: Here’s the thing about moral victories. Go back to 2013, in Scott Shafer’s first season as head coach of Syracuse and the season opener against Penn State at MetLife Stadium. 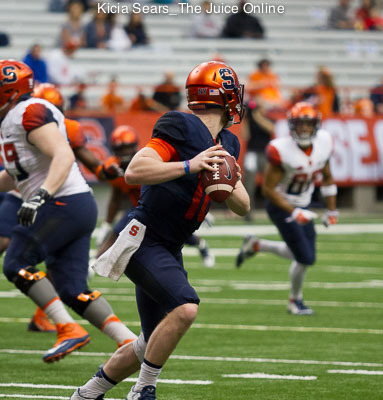 Syracuse had the ball down 23-17 late in the fourth quarter with a chance to upset the Nittany Lions. Except, as we all know, they didn’t. One season later, Syracuse traveled to then-No. 20 Clemson on the road and “won” another moral victory, hanging tough in an eventual 16-6 loss to the Tigers. In 2015, SU had a chance for two more critical victories in Shafer’s final season on The Hill. There was a 34-24 loss against LSU and then a 37-27 loss to Clemson, both at home. The point being, Shafer, as likable as a coach as he was, finished 14-23 in his three seasons at Syracuse, moral victories aside. Syracuse was one interception and one touchdown catch away from stealing a win on the road against an SEC opponent. Perhaps they’ll make those plays in the future. I do like the direction the Orange is going, and I’m a huge believer in Dino Babers. All that said, I’ve stopped believing in moral victories, and I refuse to take that away from Saturday’s loss.